Today is International Volunteering Day. 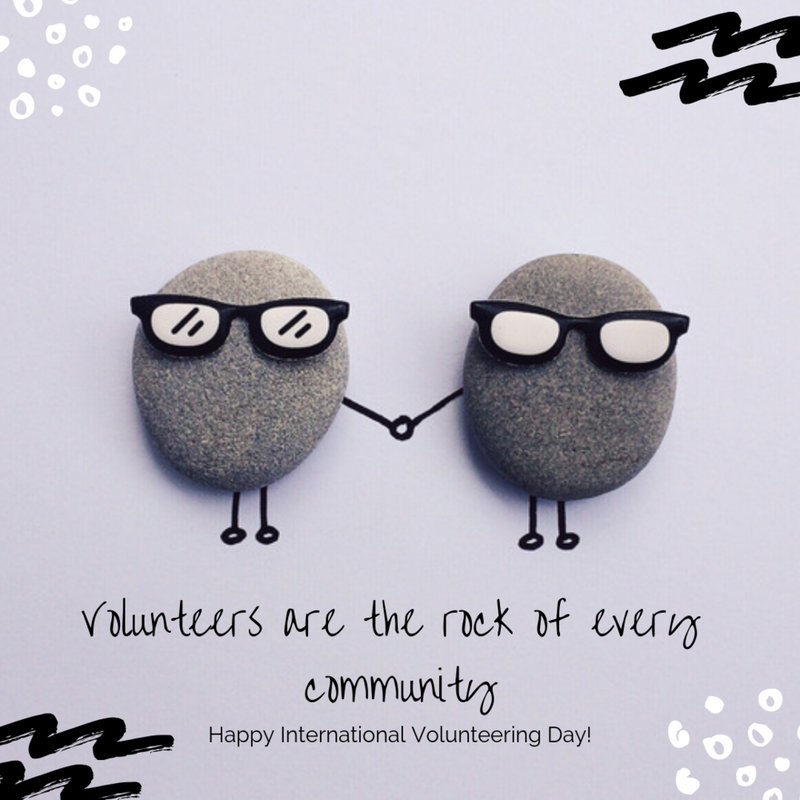 This is a day to recognise and connect with the global volunteer movement of which we are all a part. An estimated 1 billion volunteers around the globe are freely giving their time to make a difference on the issues that affect them and their communities, often in the most difficult of circumstances. This year’s theme, ‘volunteers build resilient communities,’ acknowledges the vital role that volunteers play in preventing, preparing and responding to inevitable shocks and stresses within our communities, and building resilience to make us stronger. Join us for a celebration of how local volunteers have shaped the Christchurch community and continue to make Christchurch a great place to live. We’ll hear from some amazing local change makers and show you how you can get involved through Collaborate. Not able to attend this event? There are many other ways you can celebrate volunteers and all the good that they do. Let a volunteer know you appreciate them and all the work that they do. Whether you flick them a text or just let them know in person, just make sure you let them know that the mahi they do has been noticed and appreciated. Show your volunteers the difference they are making in your community. It is nice to show volunteers that they are helping to make the world a better place. Share your stories of the times volunteers have done this in your community. You don’t have to be a community organisation to do this. You may use a community space/ park that has been maintained by volunteers. Show them the enjoyment and pleasure you get out of this. They say feeding someone is an expression of love. What better way to show volunteers your appreciation than by donating some of your time to baking and sharing it with the volunteers in your life. Volunteers do so much good for our community, so do something good for them. Helping out with small tasks can really go along way. If your volunteer is time poor, offer to pick something up for them when you head to the shops, for example. You can join in the virtual celebration! Follow #IVD2018 on social media and join in the global celebration of volunteers and all that they do! Got another idea? Let us know in the comments below. © 2019 Collaborate Aotearoa Ltd.